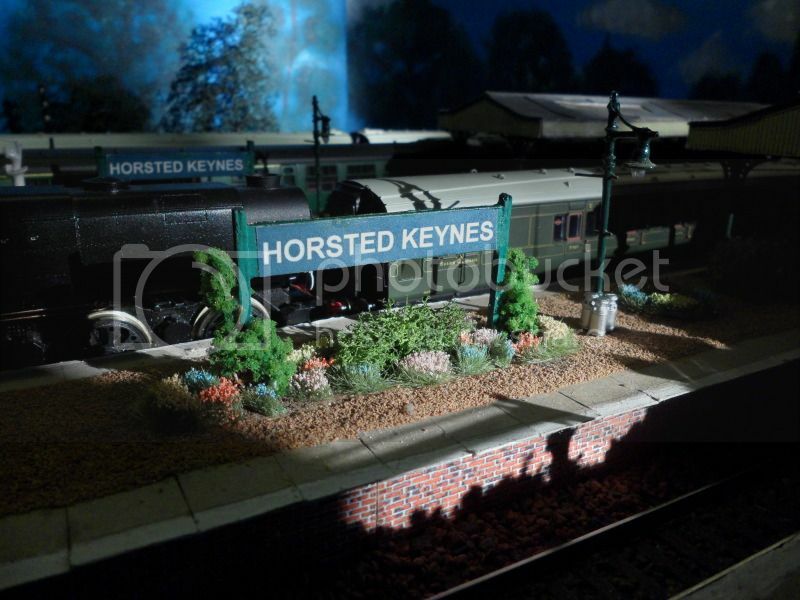 Thank you Mark much Appreciated! 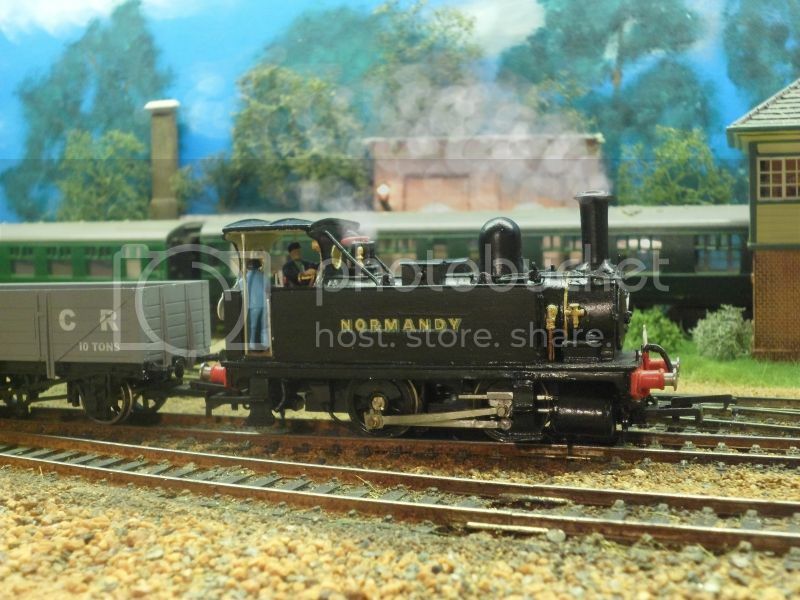 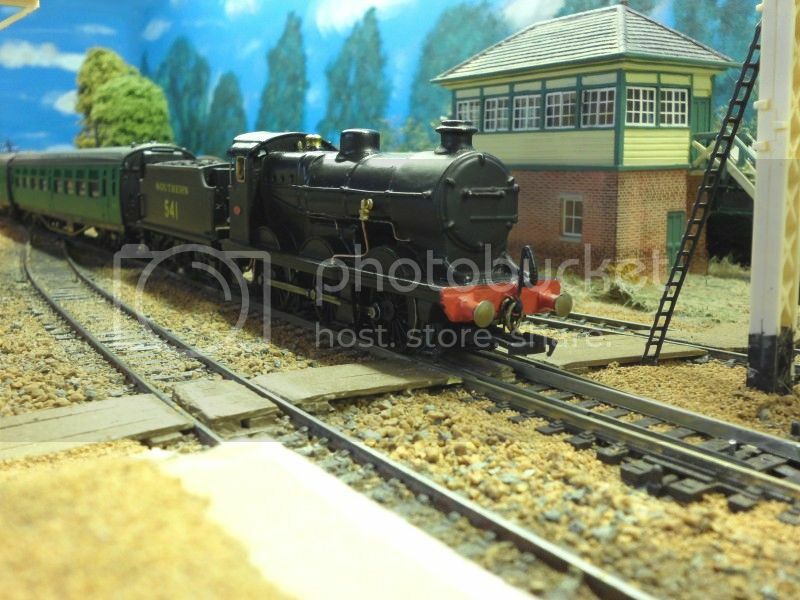 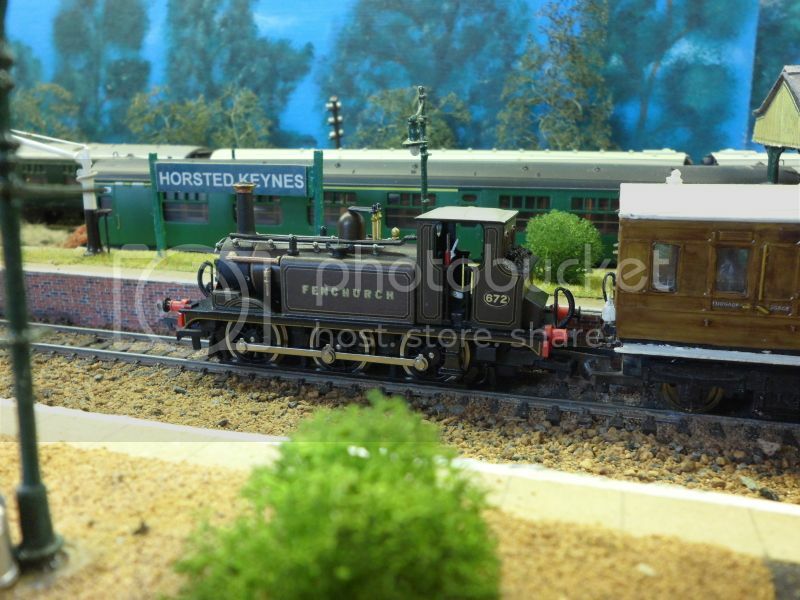 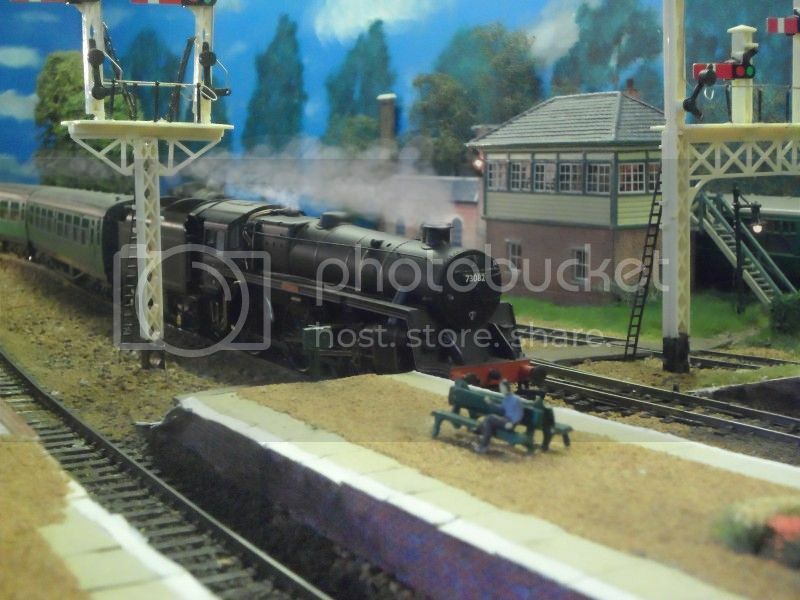 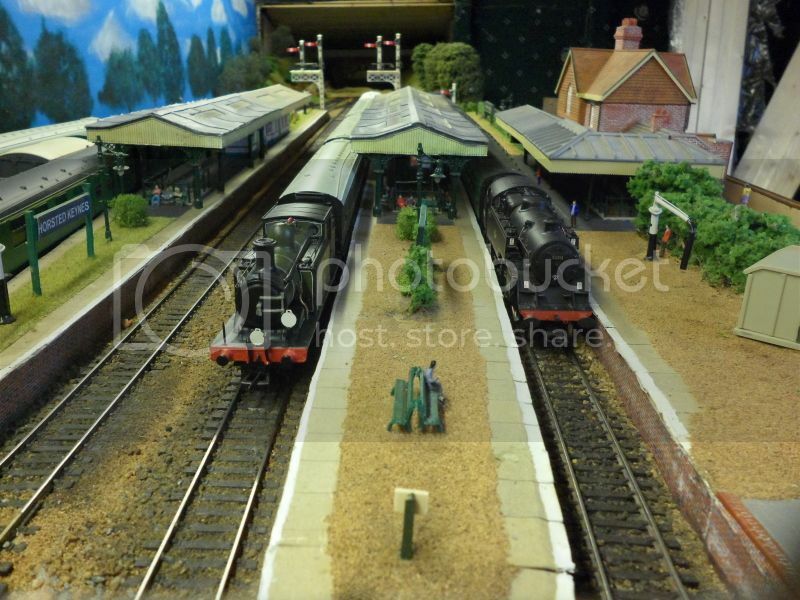 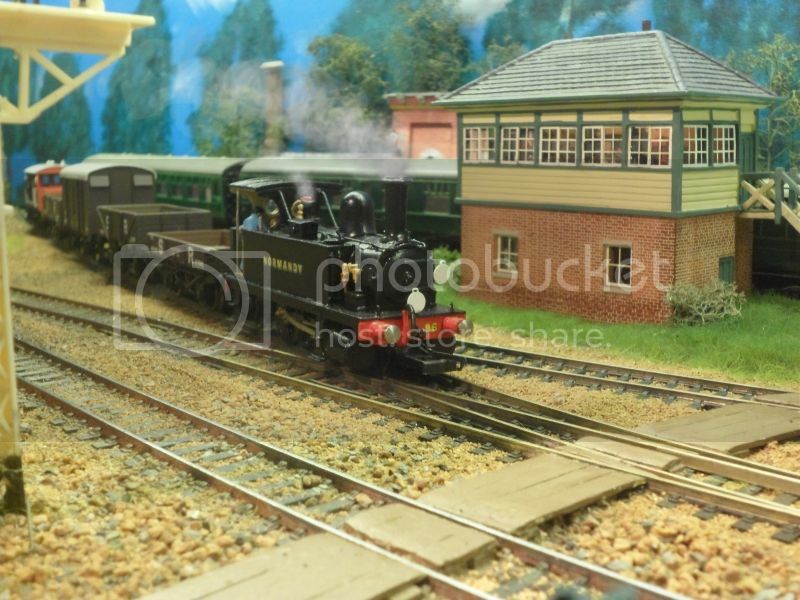 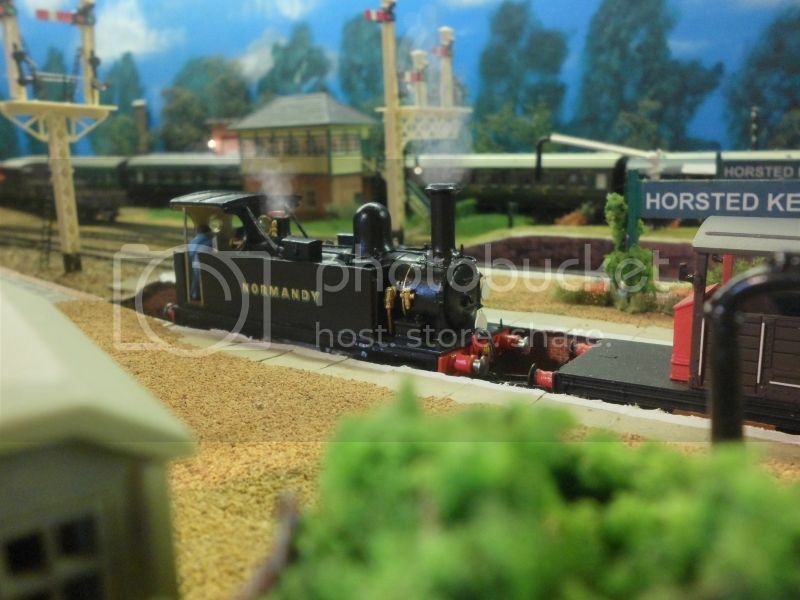 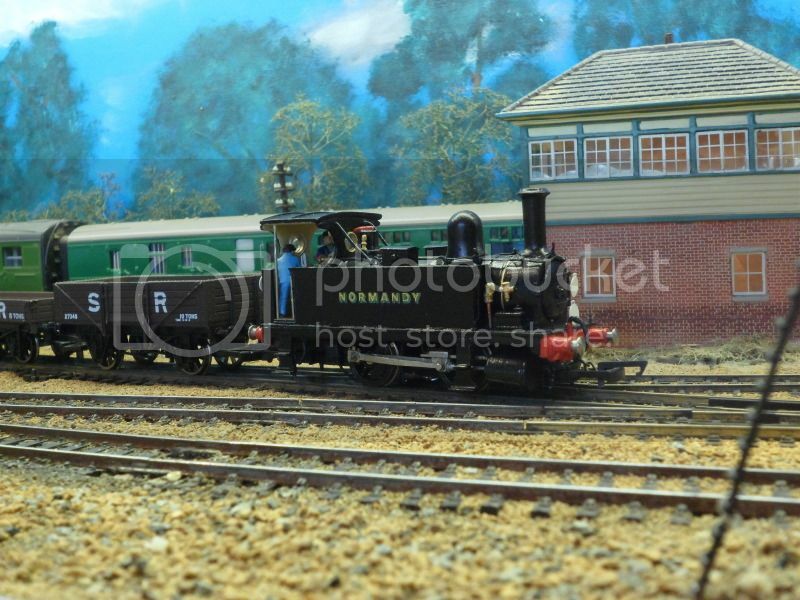 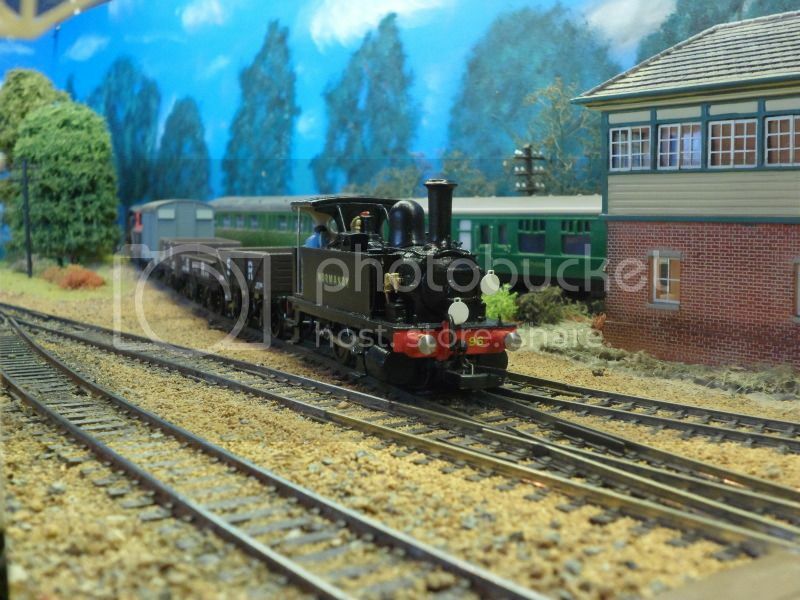 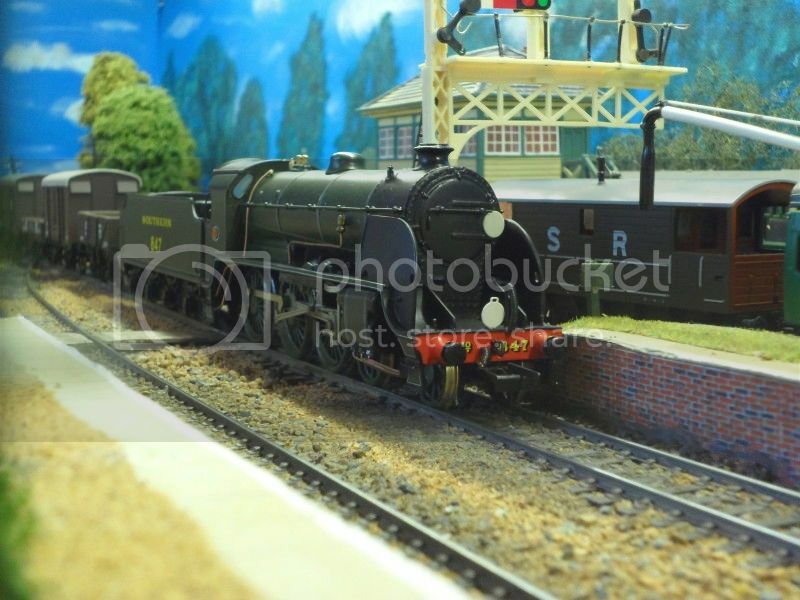 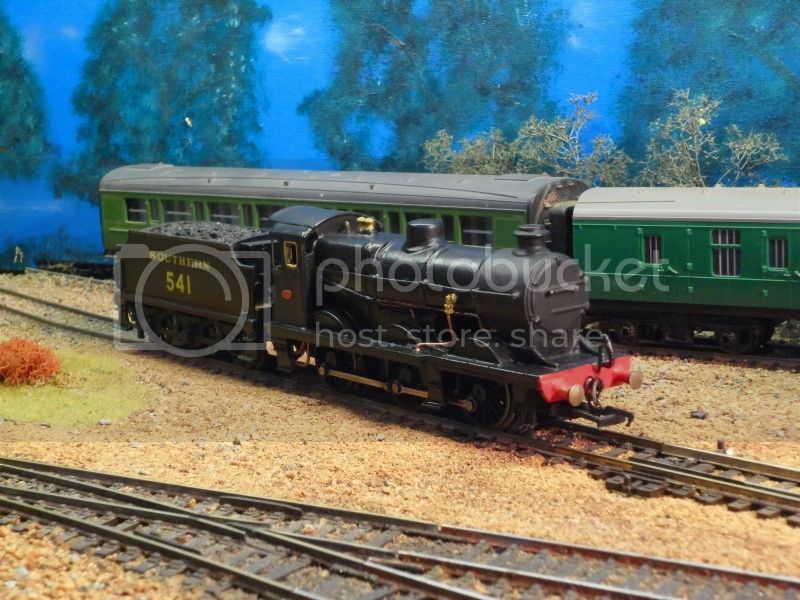 Heres a few more images, of the recently finished S15, 847 plus also Normandy doing some shunting round Horsted. 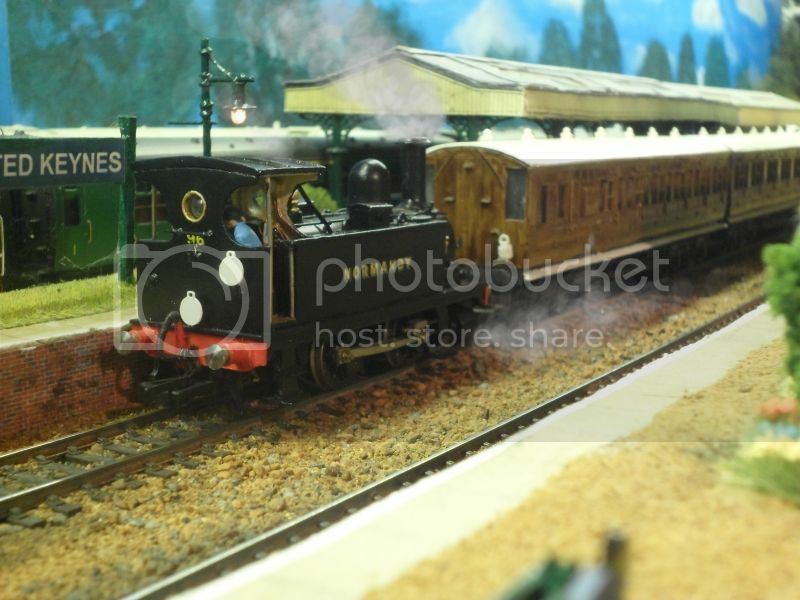 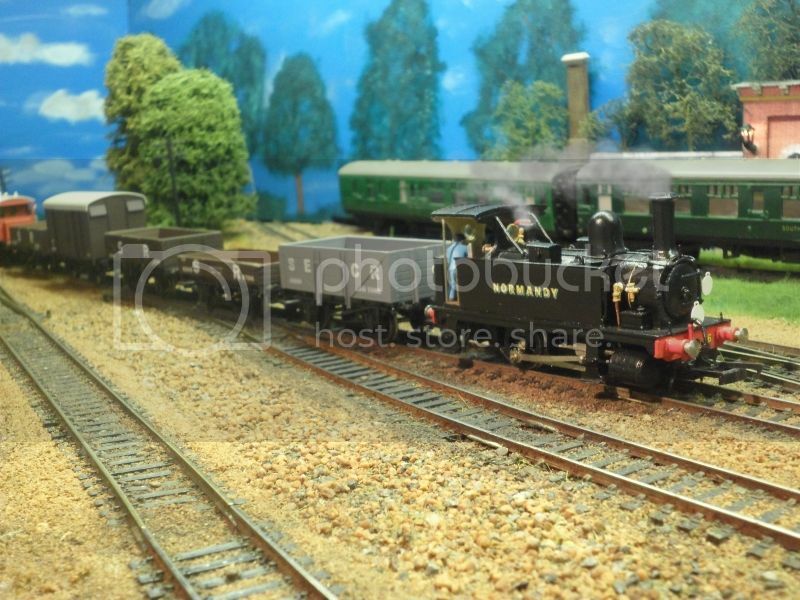 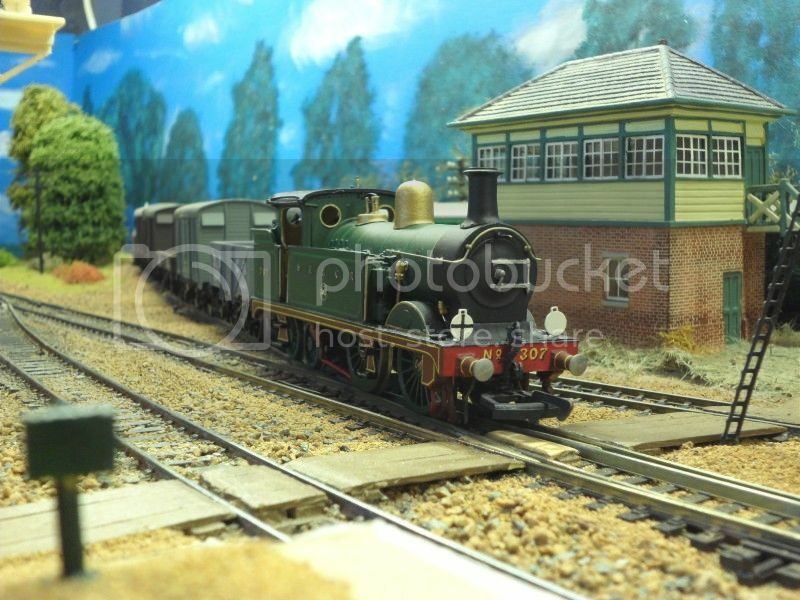 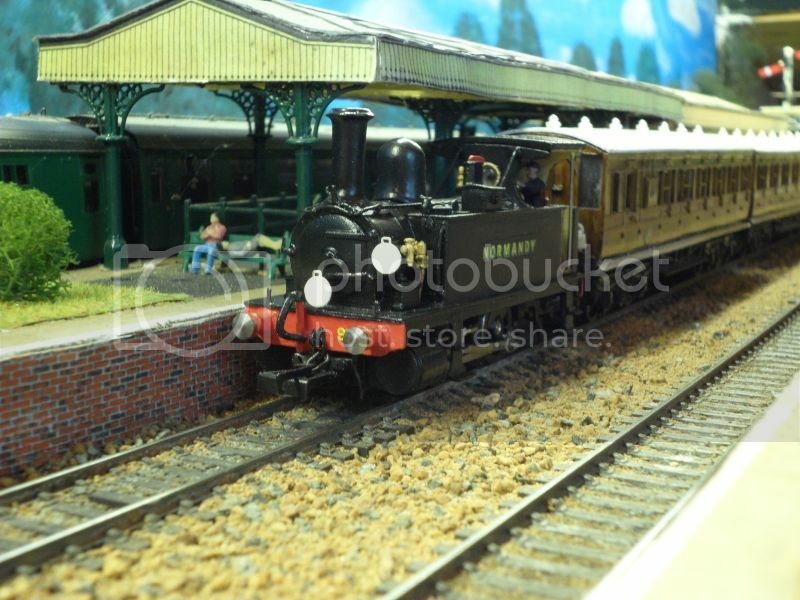 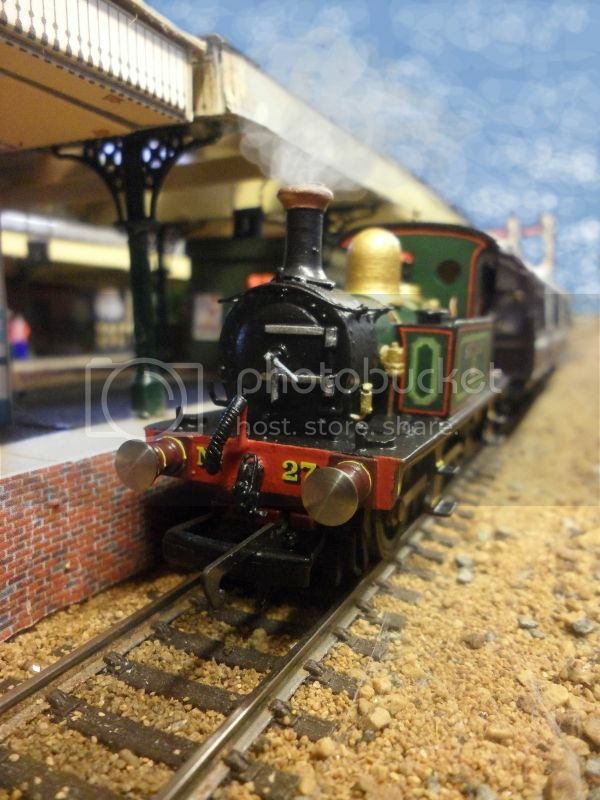 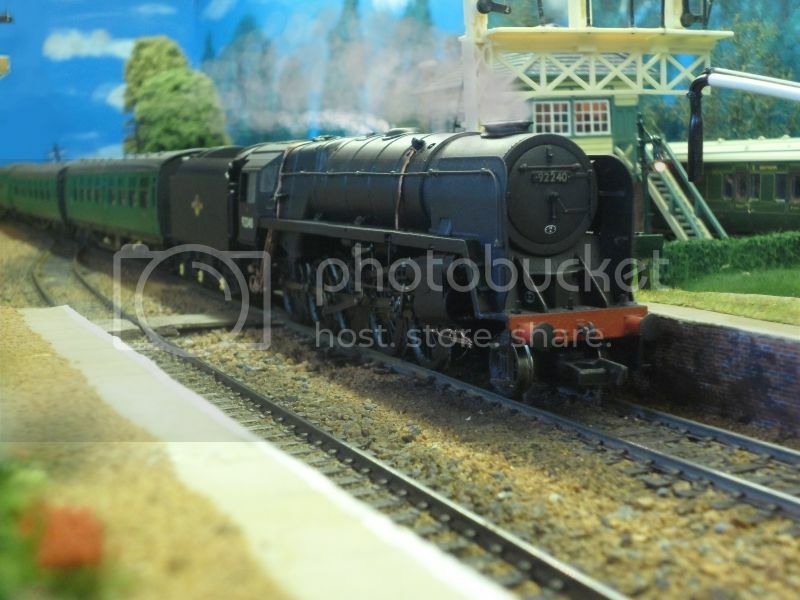 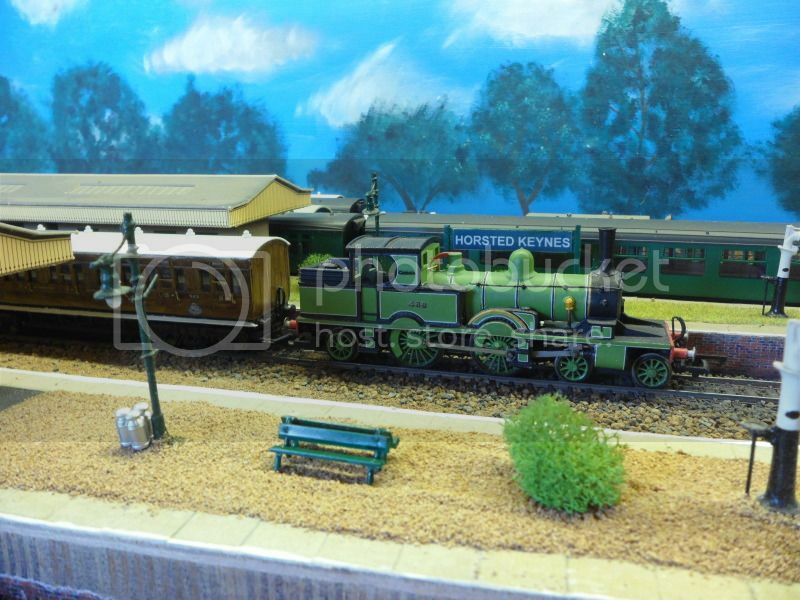 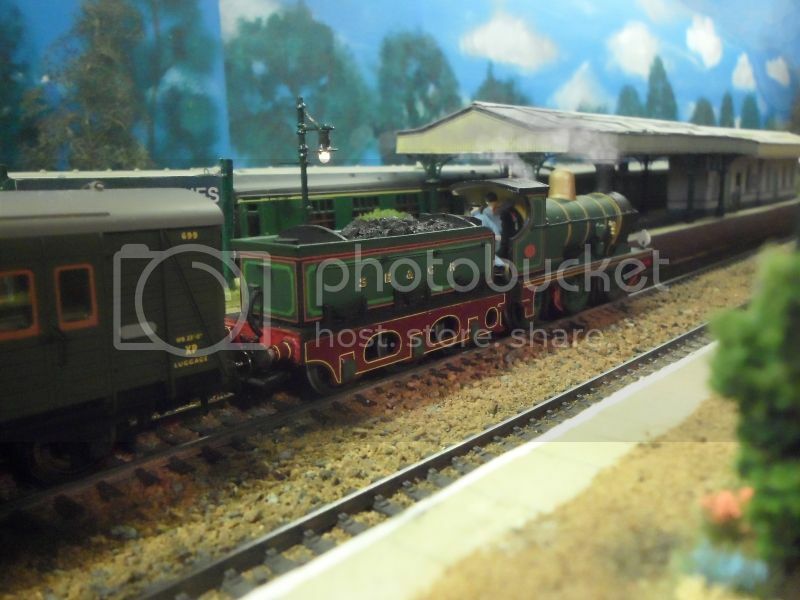 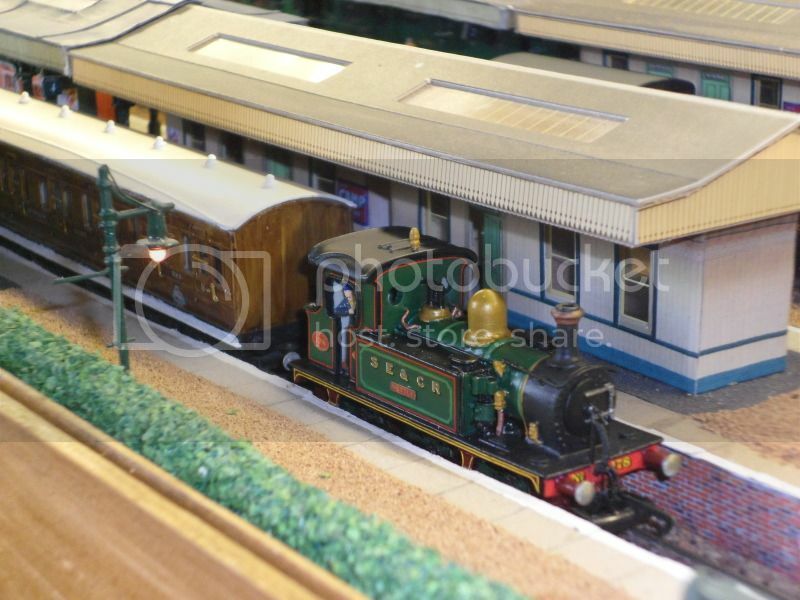 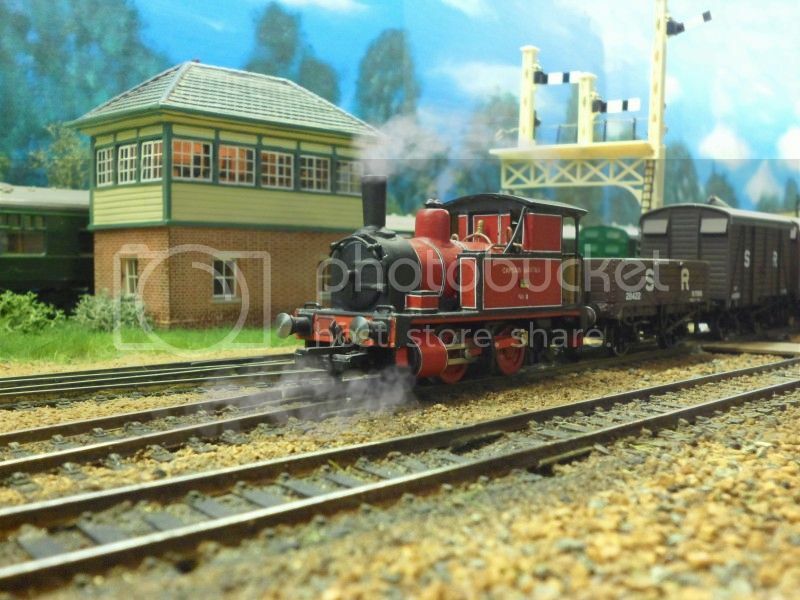 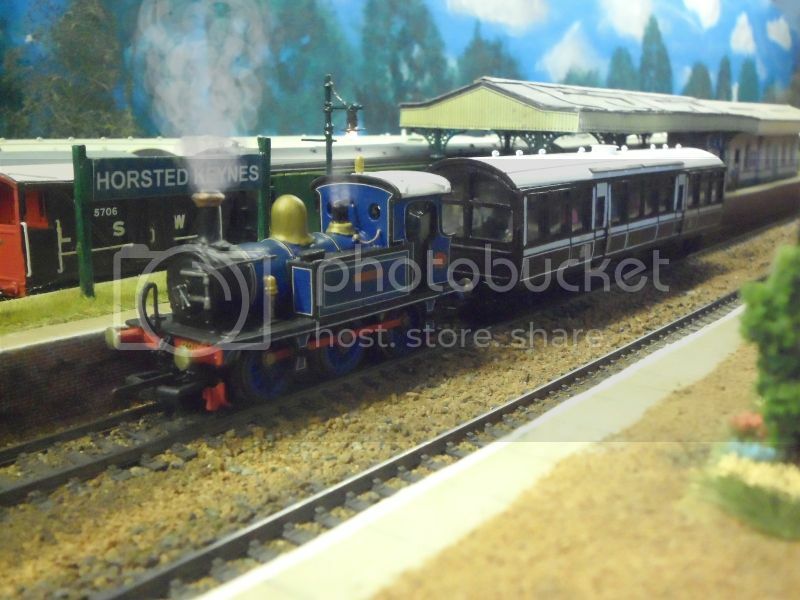 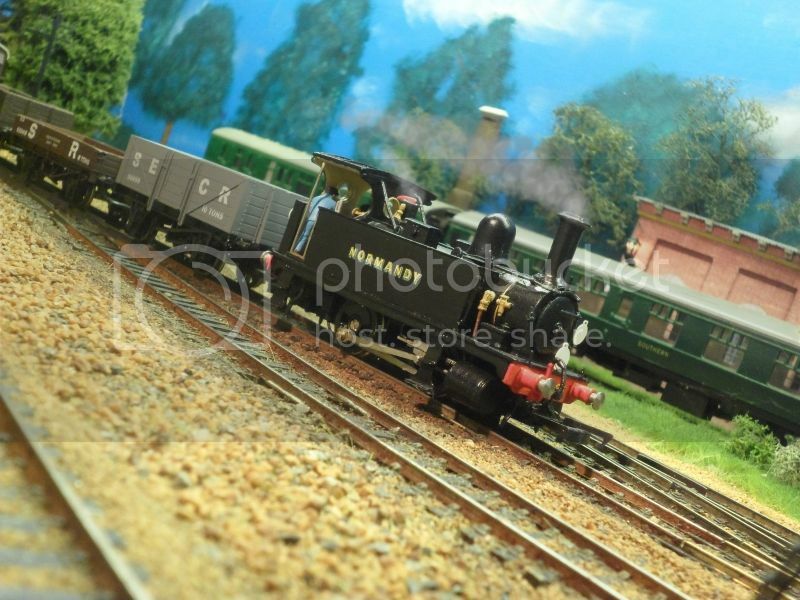 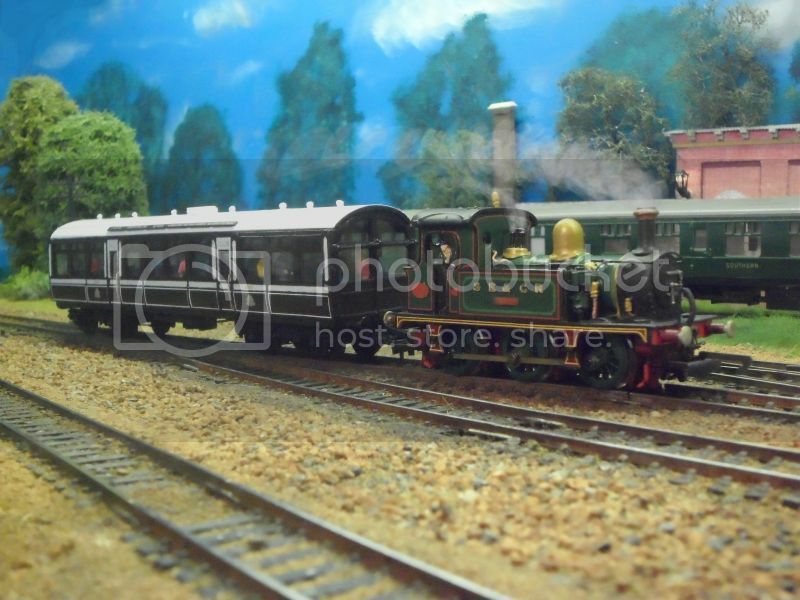 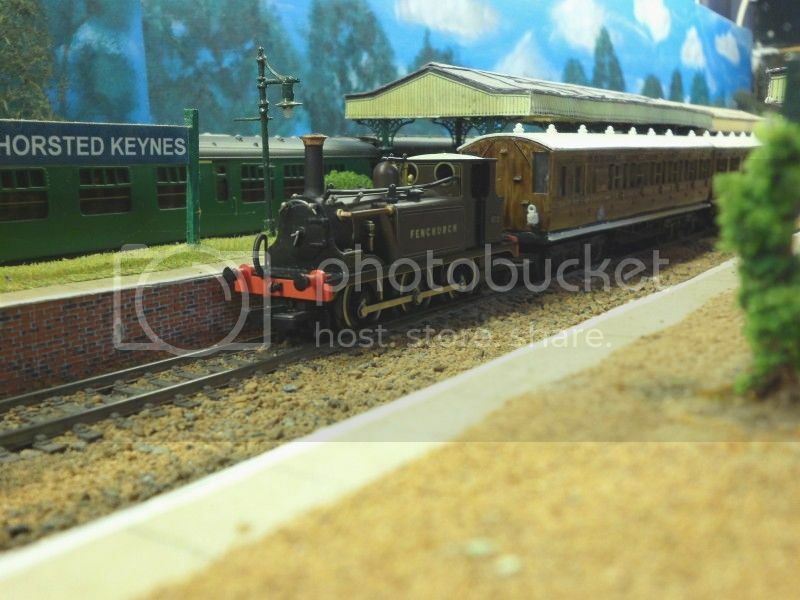 LBSCR, Dapol Terrier 662, Modified to 672, A1, Fenchurch. 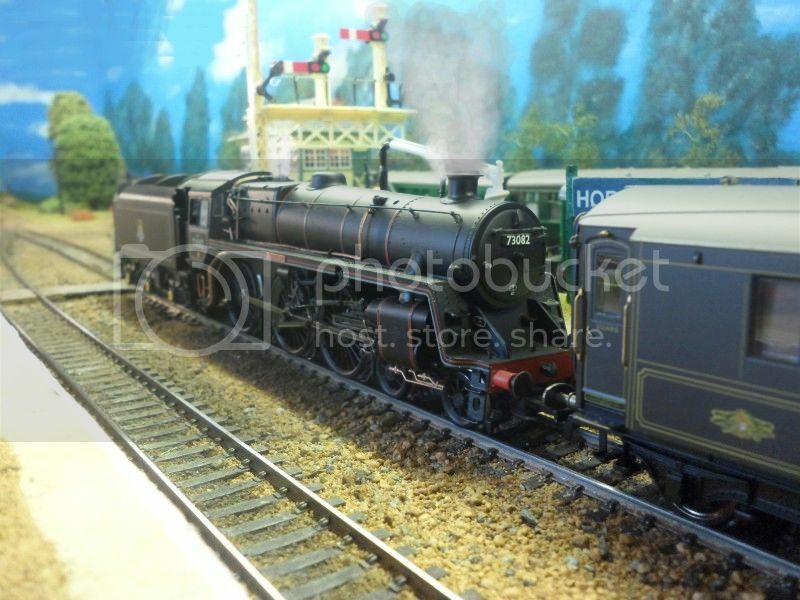 BR, Hornby Terrier 32636 (Fenchurch), This was 8 years old first one I brought from the Isle of Wight, so I gave it a make over due to buying the above terrier, I stripped the transfers, extended the bunker, and made it in to W11, Newport. 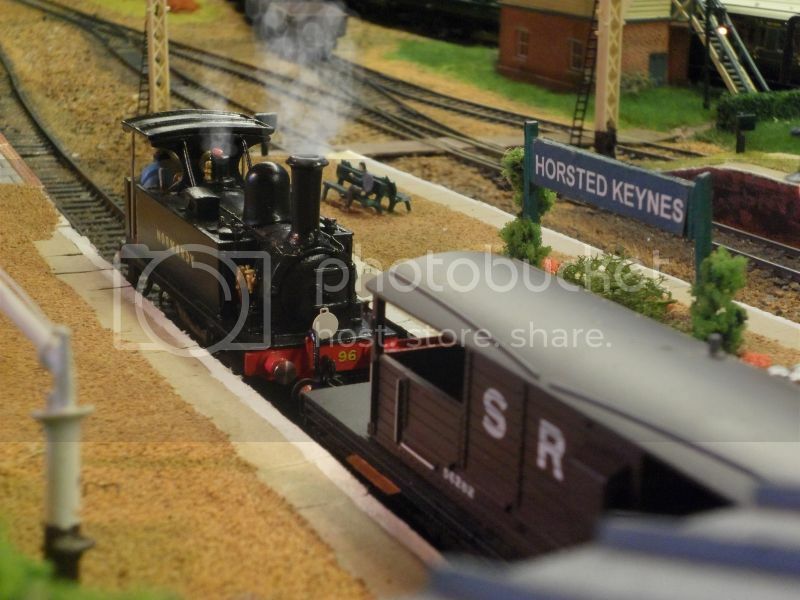 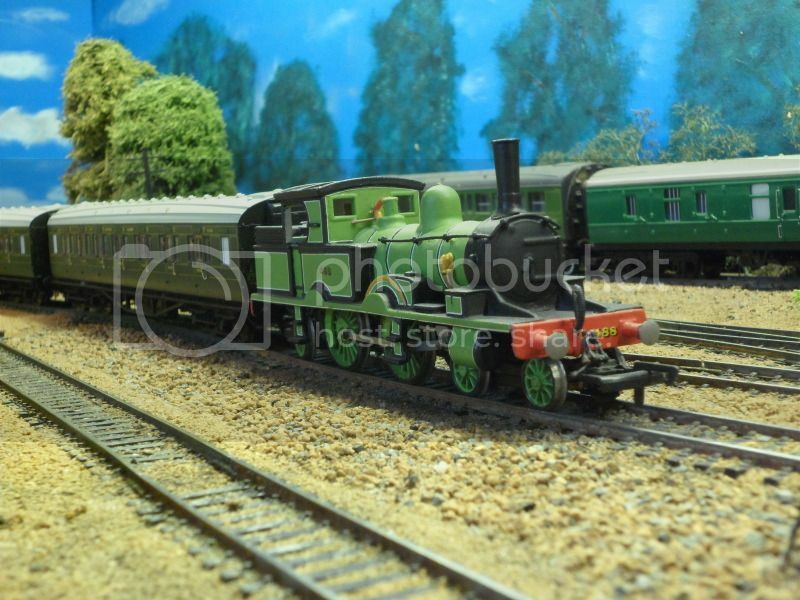 I thought I would post a few other images following some addition detailing thats been done to these 2 locos which I built up a few years ago now. 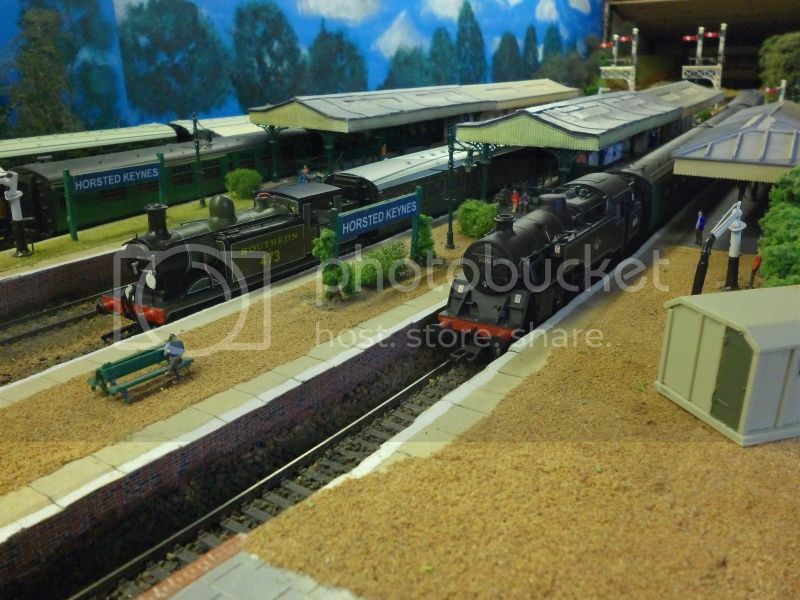 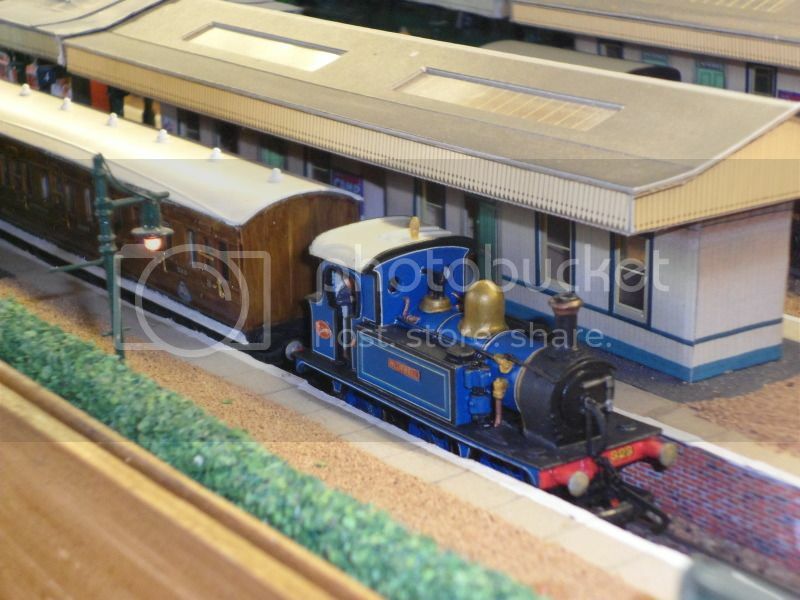 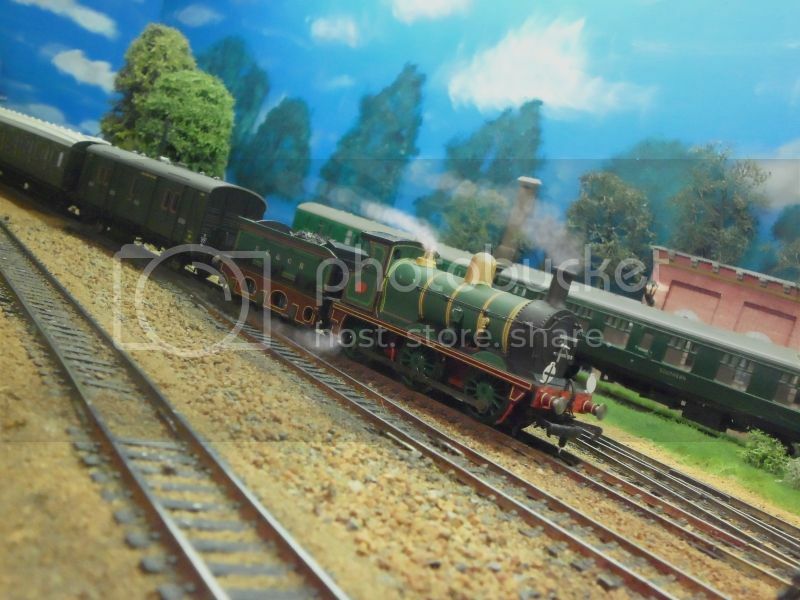 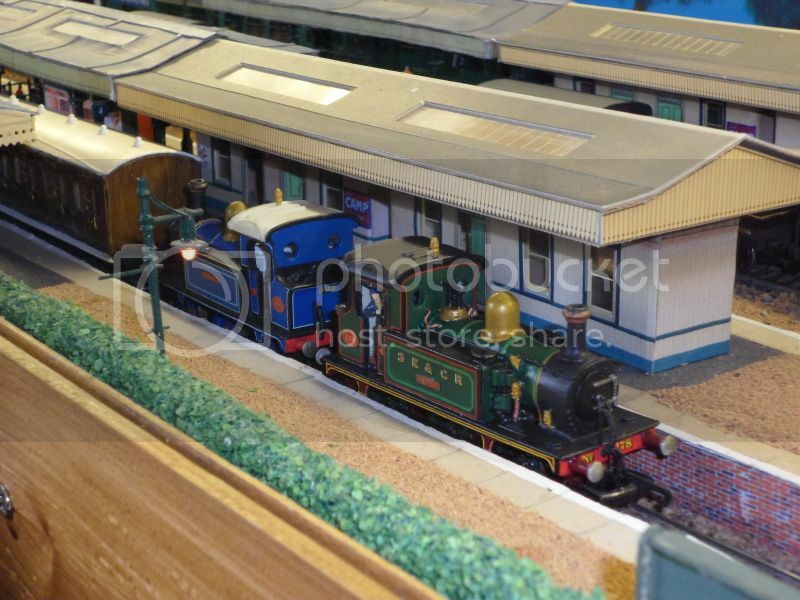 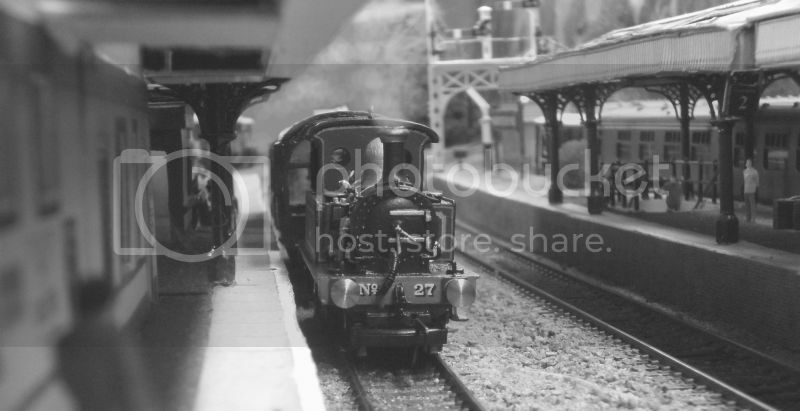 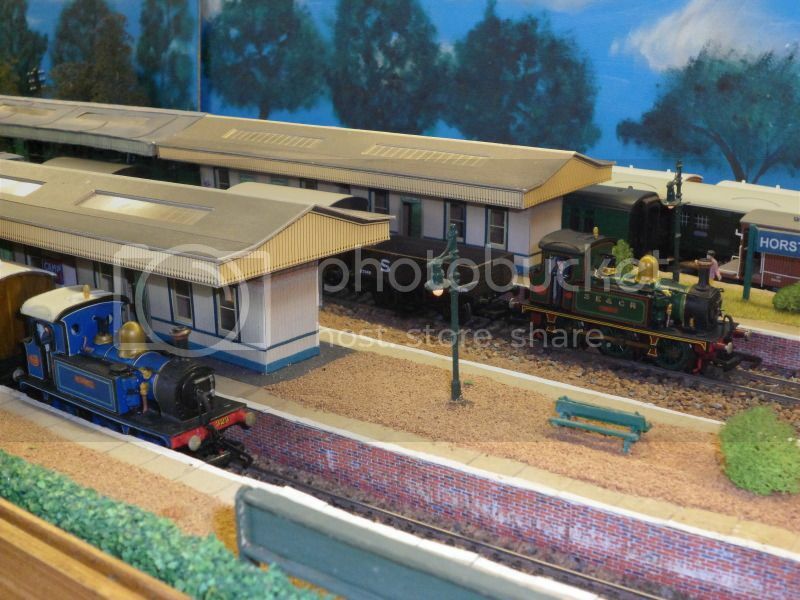 323, Bluebell, and 178, Nettle, both SECR P-Class. 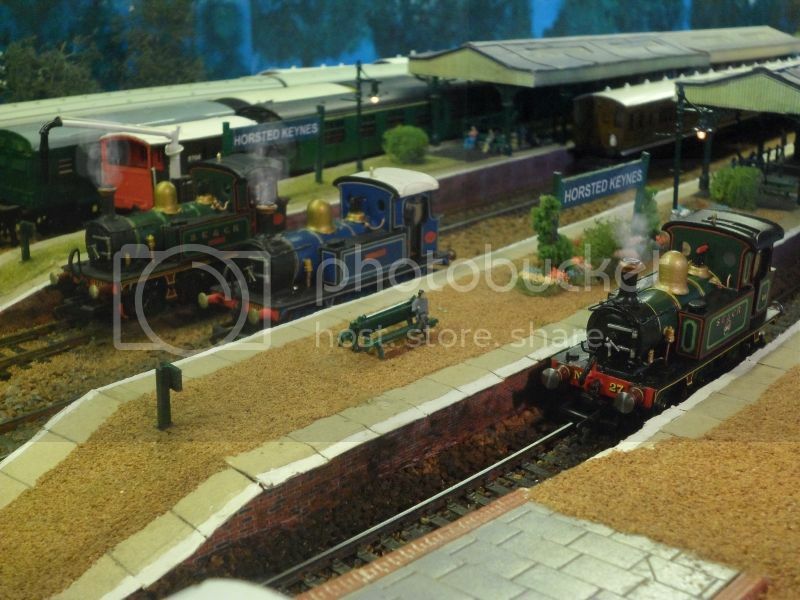 Heres a few images from the layout..
A few images from the layout over the last few months, still undergoing work to improve the north end, to improve the look of the bridge over the line, that will be for next month, as well as tarting up the layout a bit. 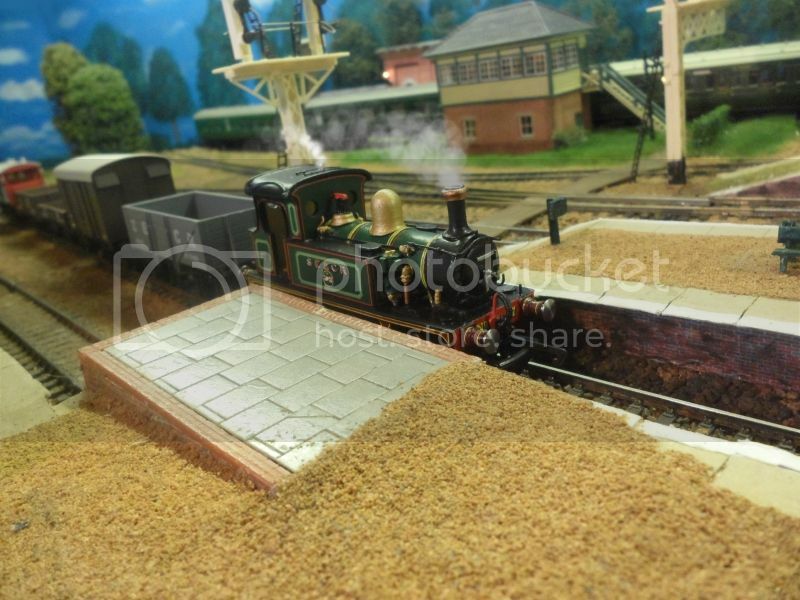 Few bits and pieces are being done to locos, such as the Q-Class's running plate which has been changed to what it should be like, as well as rebuilding the steps, also too a chance and brought a new scratch built Pillbox brake, i know bachmann are bringing one out but this one is scratch built and has several different features, some of which are still to come. 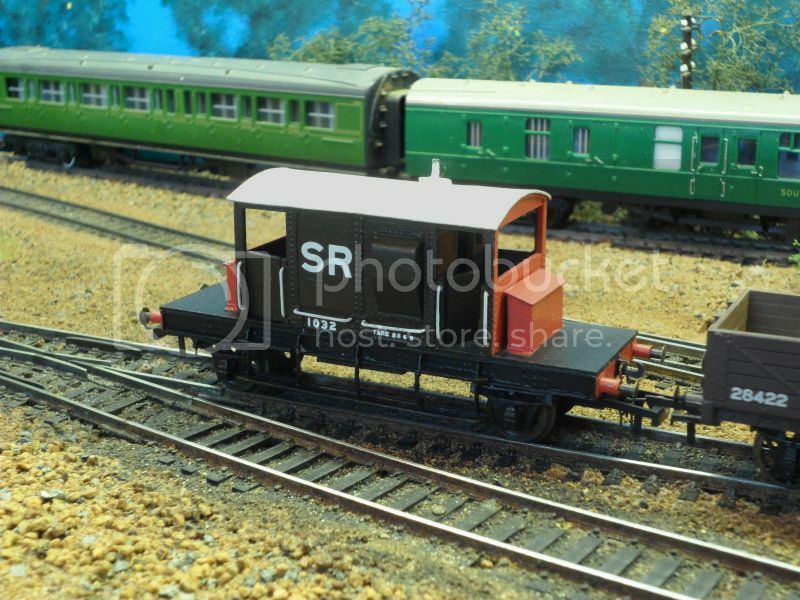 Also work will restart on the LNWR observation coach having found more parts for it, news will be found on my workbench thread. 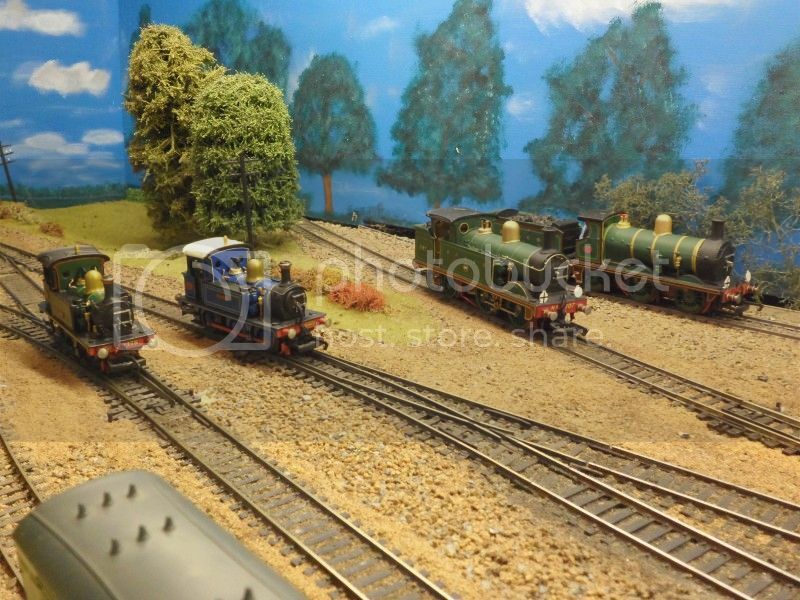 A few more pictures from around the layout, seeing as its being slowly detailed and updated in readiness for some professional photos to be taken later on next month. 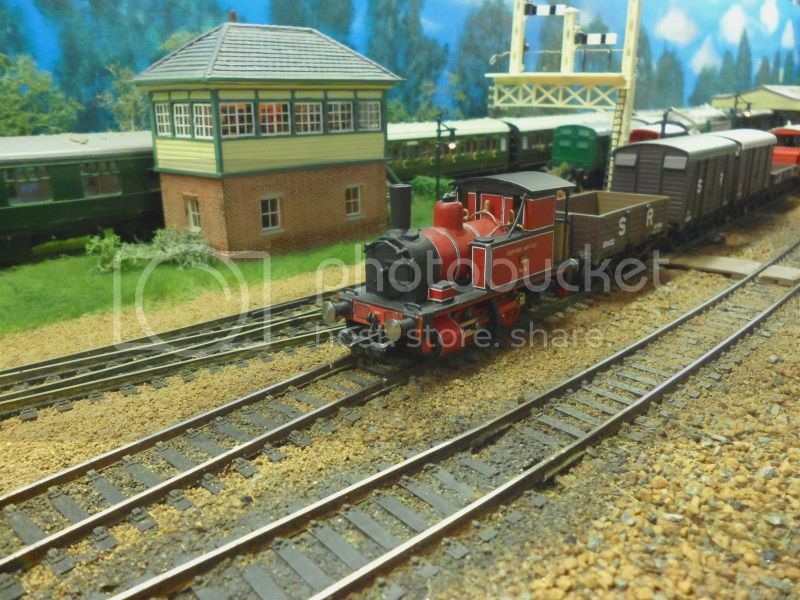 I thought I post images up, a set per loco at a time. 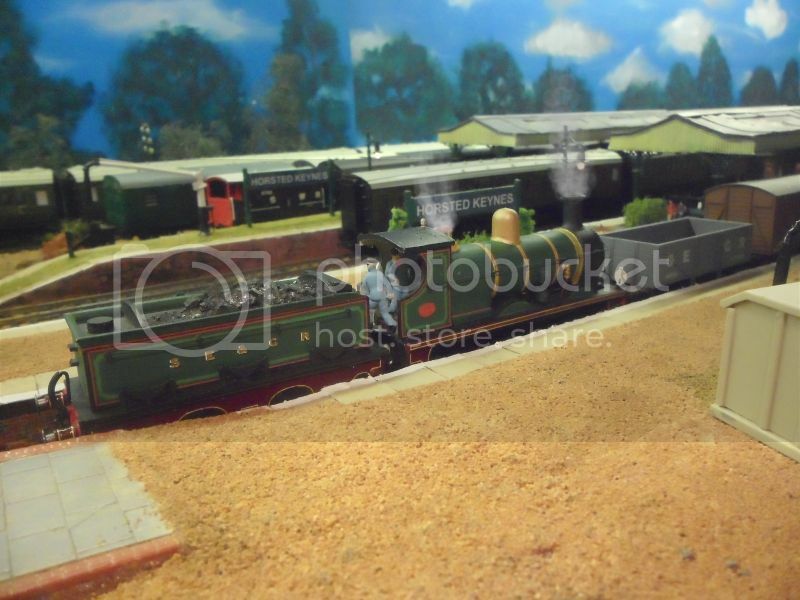 Firstly, No 3 Captain Baxter... a popular little loco, which made me build this from plasticard, and various spares. 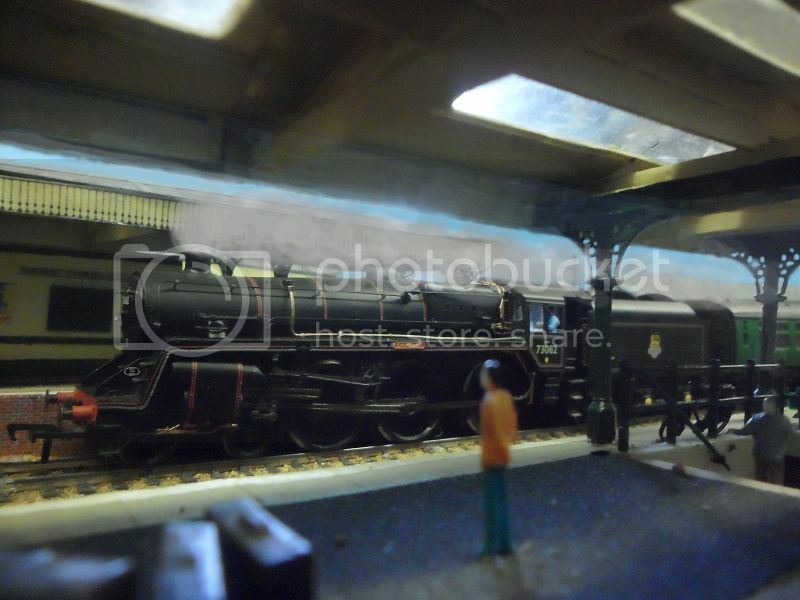 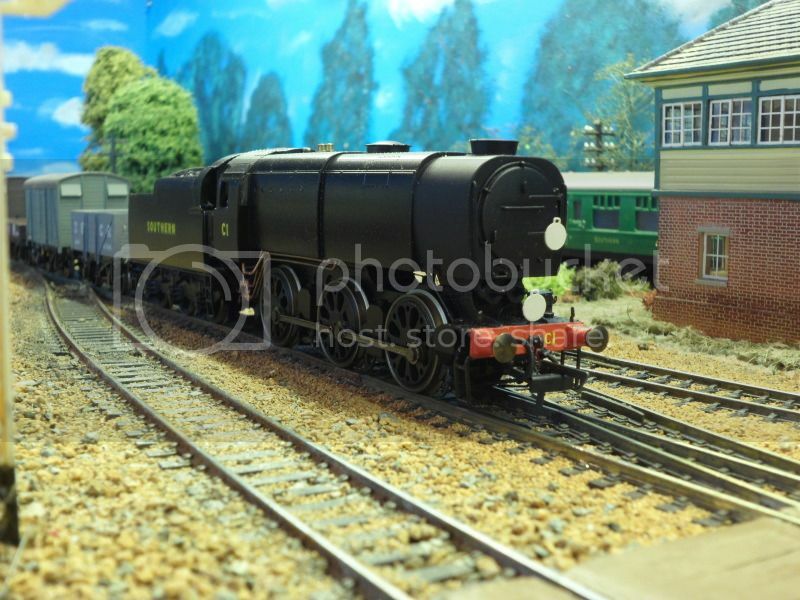 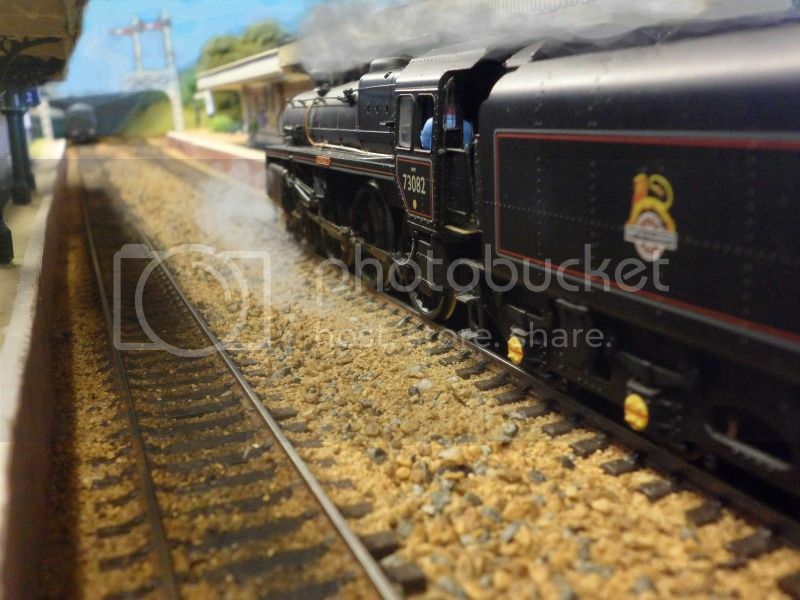 A few pictures of my modified Bachmann 9F, this has been re-numbered and fitted with a whitemetal double chimney. 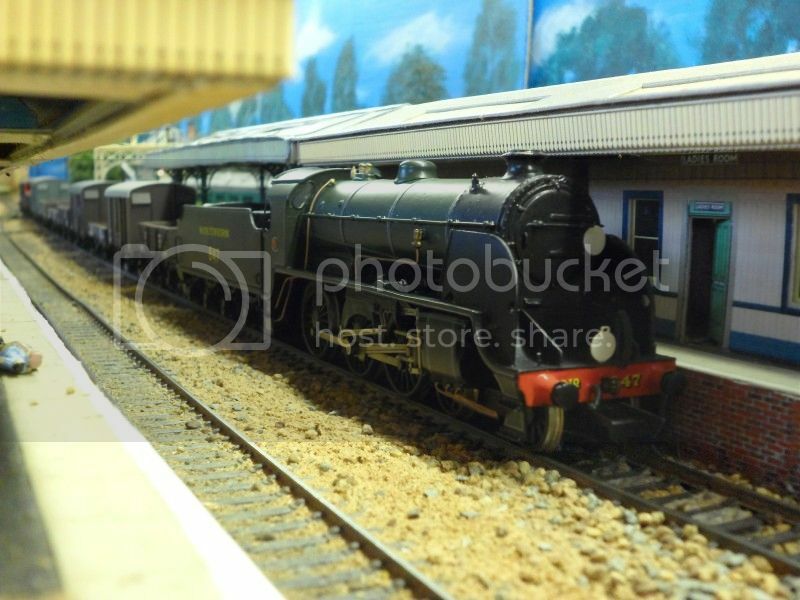 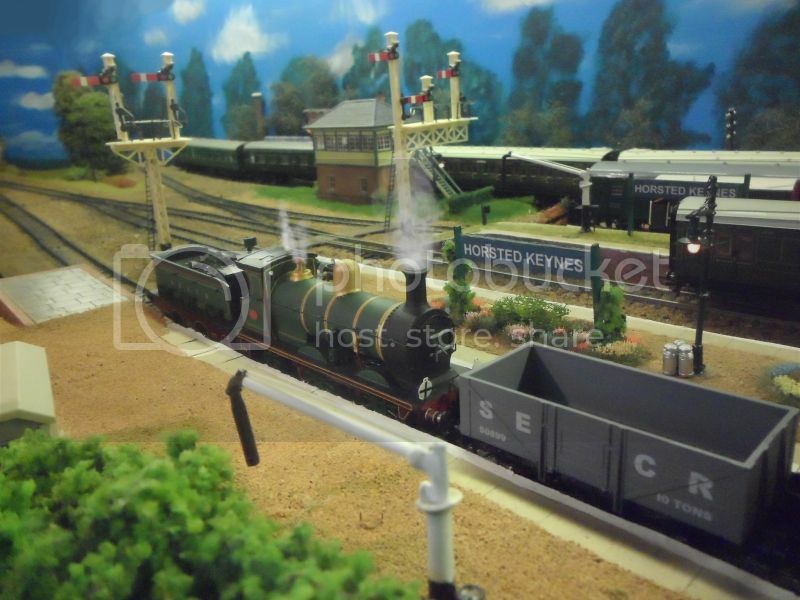 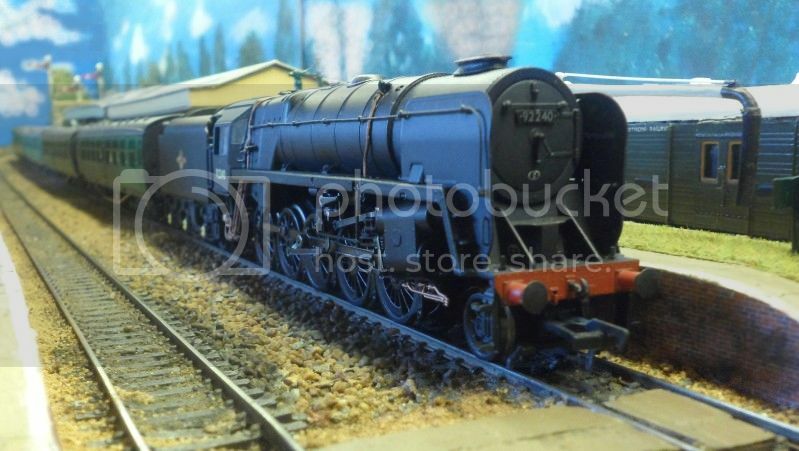 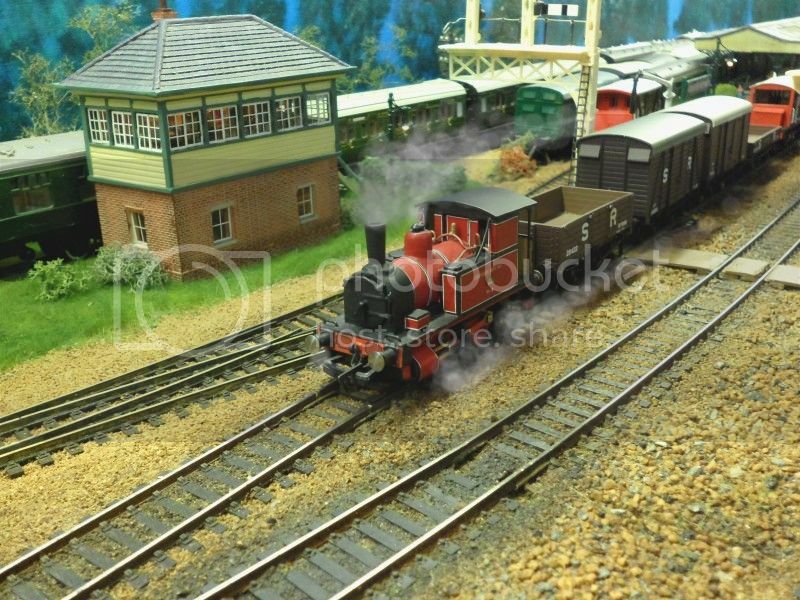 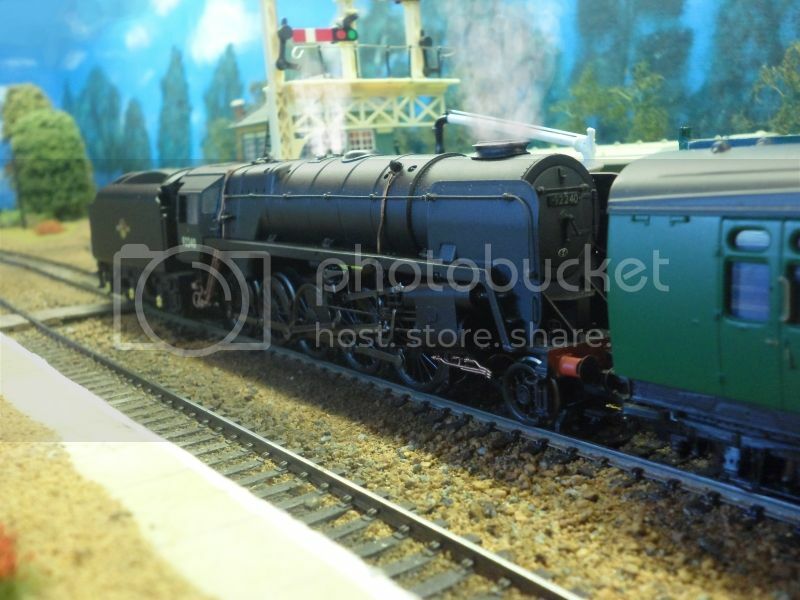 Std 5mt, 73082, Camelot, another Bachmann model. 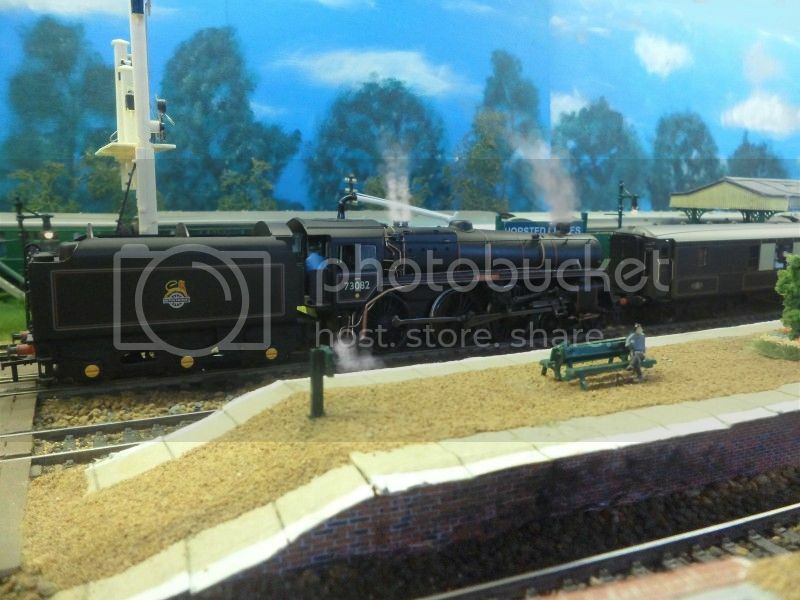 These next 4 images, are of one of the first Resin Kits I purchased, from Golden Arrow, it constructs in to a nice kit all be money will need to be spent as the kit is not complete, as the buyer is left to choose what he wants to put on. 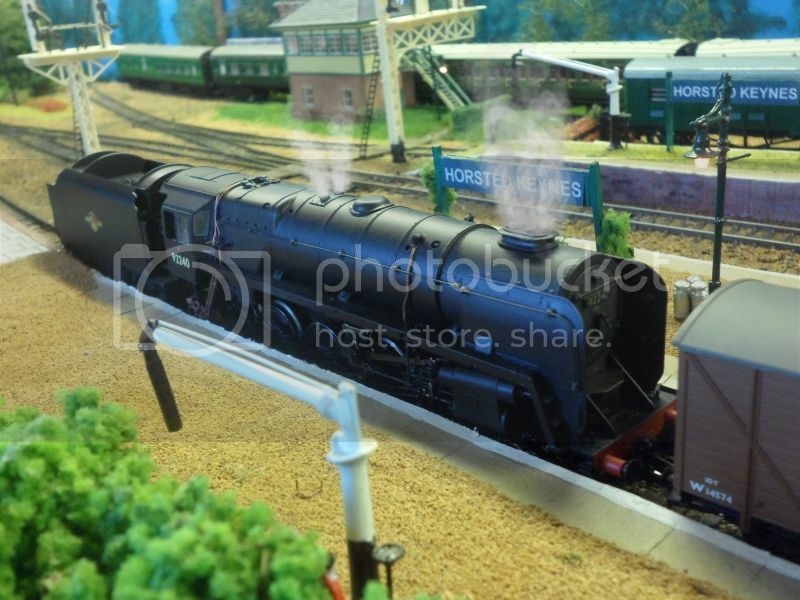 Runs on a Hornby 0-6-0T chassis, Anyway I took these tonight so light was poor, so images are not great. 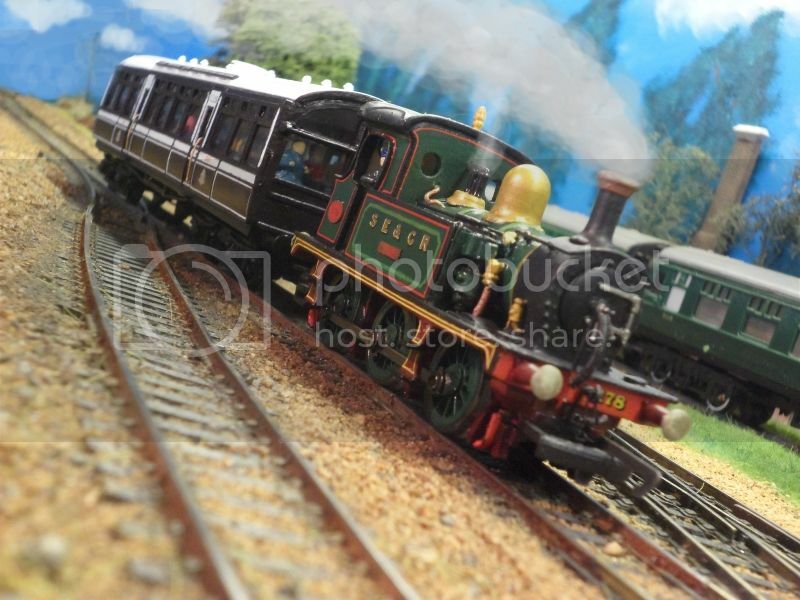 This week its the turn of the P-Class again popular small locos which are still used on the line to this day, a bit small for busy peak periods but still none the less popular. 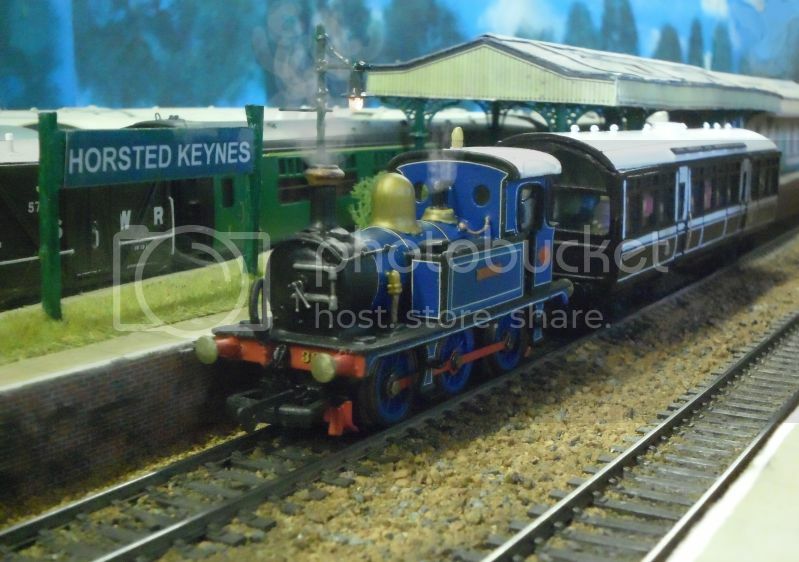 Hi Matt, sorry bud, just more of the same praise i'm afraid! 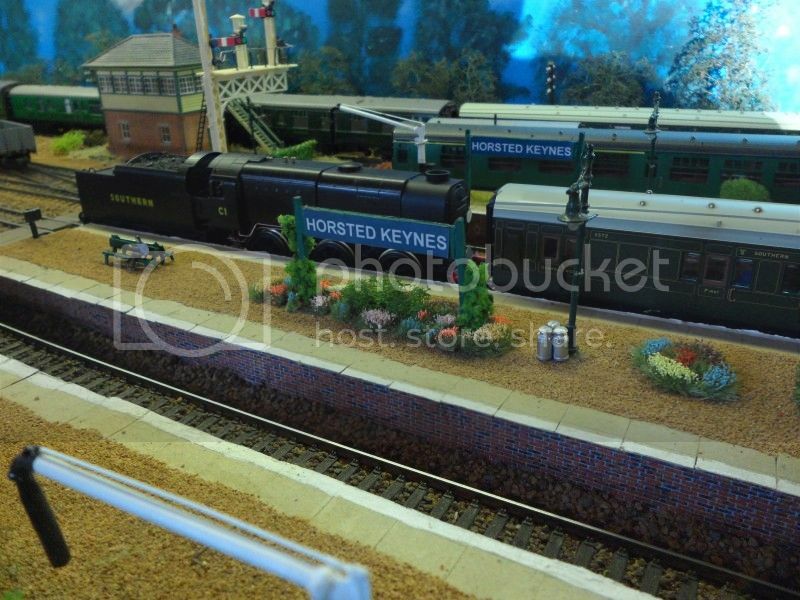 Been watching the progress of Horsted Keynes since the beginning, and each update, new loco, bit of scenic/building work is excellent chap, the recent updates of the tank locos and various stock on various duties is delightful, the added steam really fires the imagination, so again, look forward to each update and new addition. 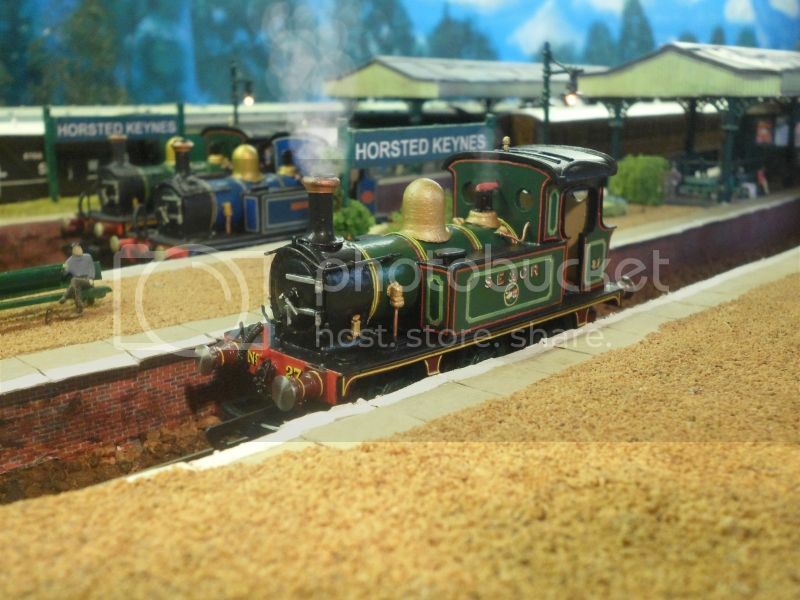 Inspirational and quality stuff that fellow! 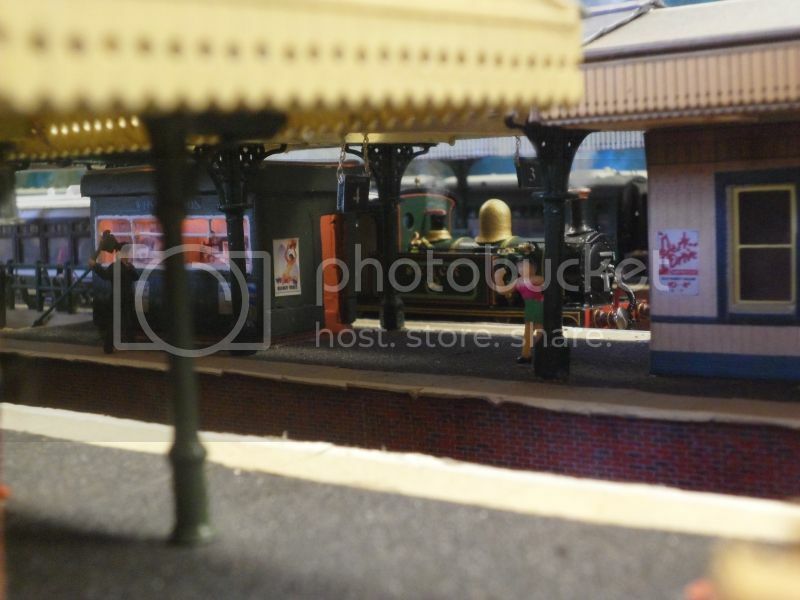 Just a quick question, do you have any plans to tart up the background? 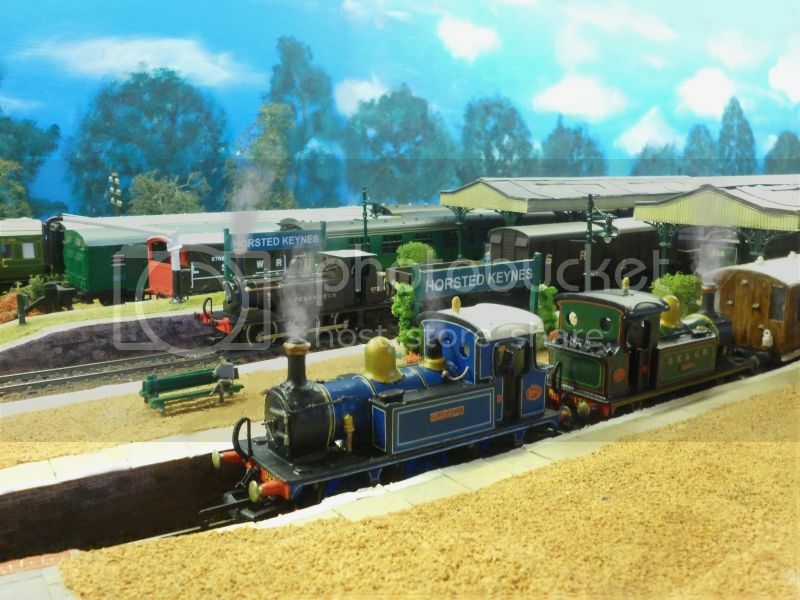 i thought perhaps a photographic backdrop from the real location could be the mutts nutts?